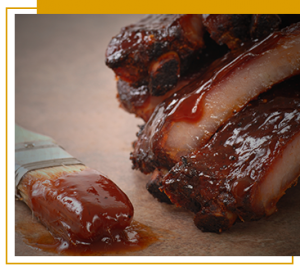 Since our humble beginnings way back in 1974, we’ve been serving up the best barbecue the South has to offer. From our highly acclaimed Brunswick stew and squash casserole to our delectable ol’-fashioned banana pudding, you’re sure to leave the Old Hickory House feelin’ the comfortable satisfaction that only comes from a hearty meal served by a friend. Join us for breakfast, lunch or dinner and discover for yourself why we’re called a hometown institution by locals who know!